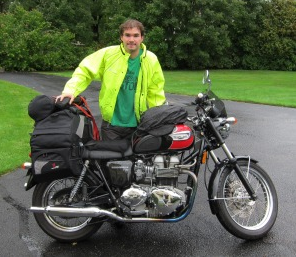 IS alum from Fall 2002, Nick Del Vecchio is riding his motorcycle across the country as he moves from his home in Boston, MA to his new home in Boulder, CO. Follow along his journey by checking his blog! We wish you safe travels, Nick, and look forward to reading more about your experiences on the open road! IS Alumna Lucy Emerson-Bell (S02) in Huffington Post! Lucy Emerson-Bell, Spring 2002, had an Op-Ed article published in the Huffington Post this week. Addressed to President Obama, Lucy discusses current environmental issues, like Keystone XL pipeline, and how they relate to the 10-year anniversary of 9/11. You can read the entire Op-Ed article here! Keep up the good work, Lucy! 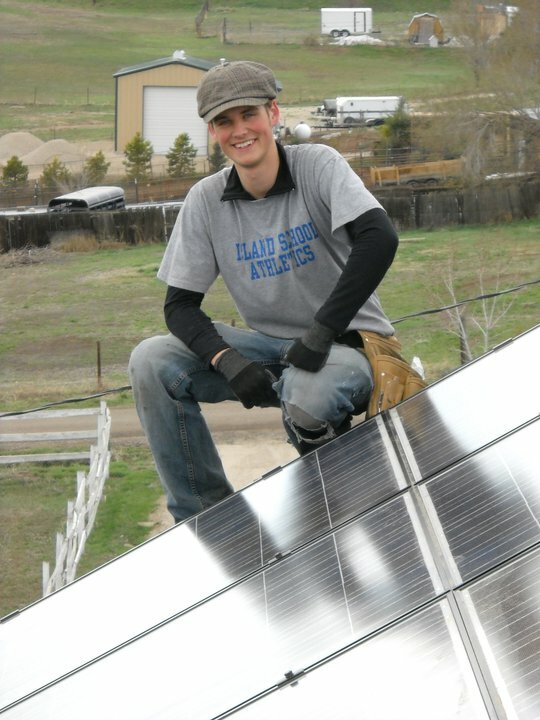 After six straight years of perseverance, Fall 2004 alum, Dustin Kloempken has finally succeeded in getting six small solar panels installed at his high school! Ever since Dustin returned from his semester at The Island School in 2004, he has been trying to get his school, Hopkins High School in Minnesota, to consider more eco-friendly practices, like using solar panels. This feat is just the beginning of what Dustin hopes is a long line of sustainable efforts at Hopkins High School and the surrounding areas. It is this determination and execution of The Island School’s mission of “leadership effecting change” that we like to see in our alumni after they leave campus. You can read more about the process Dustin went through to get the solar panels here! Congratulations, Dustin! Check out alumni brothers Matt and Will McCalpin, members of Princeton’s elite all-male a cappella group the Tigertones, singing the national anthem at the San Diego Chargers home game on October 31st. Their sister Haley will be joining us this spring as part of The Island School class of Spring 2011. Click “Read More” to see where your semester falls in the ranks! It’s my favorite time of year again; pumpkins, fall foliage, warm sweaters and…..CONCHtribution! 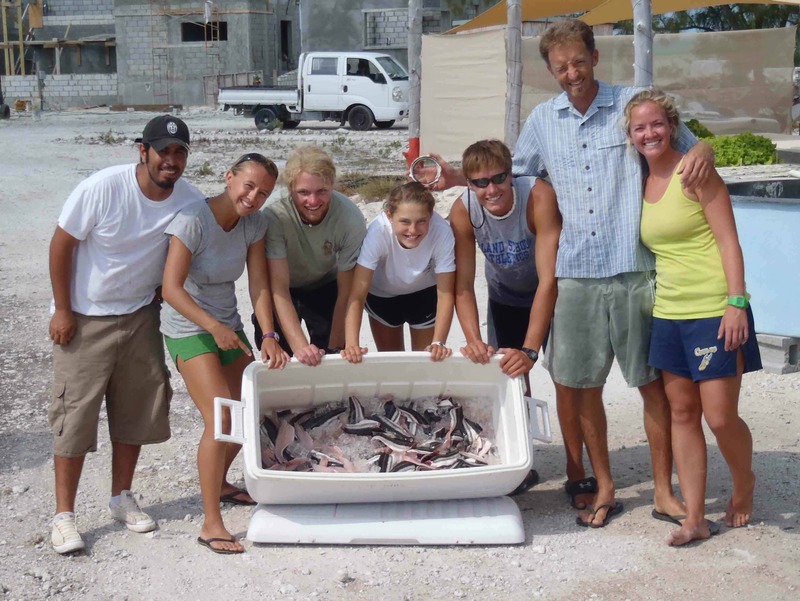 Today is the first day of the 2010 Alumni CONCHtribution Campaign, an annual giving campaign for Island School alumni to show their support by donating to the Cape Eleuthera Foundation’s annual fund. Last year we raised over $17,000 with over 30% participation in the two months of the campaign, and we’ve set our goals even higher this year. There are plenty of reasons to CONCHtribute in 2010. As always, the alumni classes are competing for the highest participation rate, with the winning class getting a plaque placed on the Golden Conch, which hangs prominently in The Island School dining hall. Secondly, this year the first $5,000 of the campaign will go toward supporting the journey of one Deep Creek Middle School student during the 2010-2011 school year. And finally, donors from any class whose participation rate surpasses 60% will receive a FREE Island School alumni t-shirt, featuring the logo to the right. On Saturday The Island School’s Alumni Advisory Board (AAB) took a tour of the New York Harbor School (NYHS), a maritime themed public school located on Governor’s Island near Manhattan. The AAB took the quick ferry from Manhattan and explored NYHS’s beautiful, historic building. NYHS just recently moved from Brooklyn to their dream campus on Governor’s Island. Sharon Jacker, community coordinator for NYHS, showed off the school’s aquaponics, composting, and aquaculture systems (sound familiar??) and explained the school’s program in detail. The NYHS is an amazing school, and we encourage everyone to check out their website to hear more about the work they are doing. After the tour, the AAB headed back to Manhattan to Ulysses Folkhouse for a happy hour with other Island School alumni. It was great catching up with our NYC-area alumni, and we hope to do another event in Manhattan this fall!